Imagine – you visited a spa, and the experience was amazing! Who doesn’t love a good relaxing massage to unwind, and soothe sore muscles? But regular spa visits can be quite costly. What if I told you that you could enjoy massage therapy from the comfort of your home? With a proper blend of massage oils, you can experience the relaxing aromatherapy treatment as often as you want with a perfect mix of your choice! Let me show what I think are the best essential oils and how to use them. The best thing about using essential oils for massage recipes is that it’s very simple. You only need a few drops of essential oils, combine them with carrier oil, and the magic massage blend is ready! I’ve created a list of 5 best essential oils for massage therapy as well as homemade recipes you can easily make. 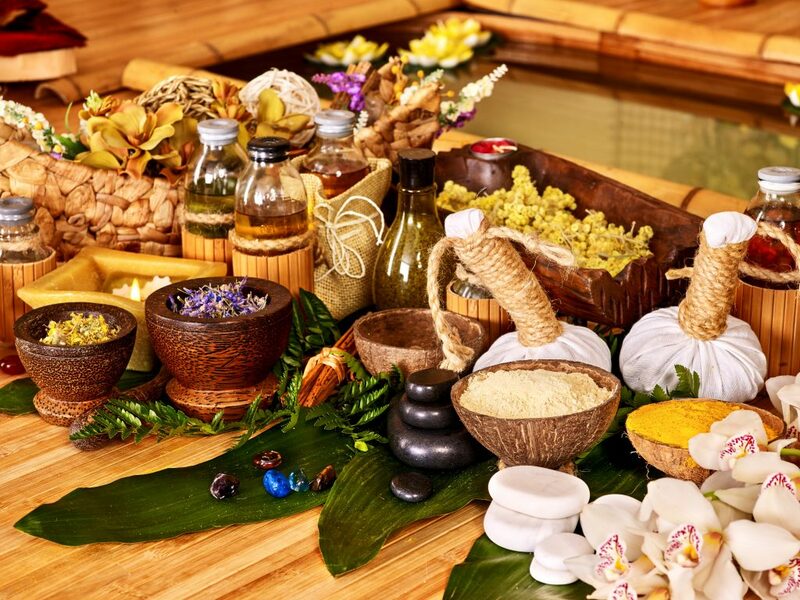 It’s true that Ayurvedic massage therapists tend to use large amounts of massage oils and will use massage equipment such as specially designed massage tables to prevent oil spills. But honestly, it’s easier to begin with a small amount and add more gradually than drown your loved one in a pool of massage oil. Combine the carrier oil with the essential oils in a bottle before you begin the massage. When massaging, add the oil to your palms and rub them together. You’ll want to warm up the oil before applying it to the skin. The optimum dilution is approx. 5-6 drops of essential oil per 10 ml (1/3 oz.) of carrier oil. If you have sensitive skin, use 3 drops tops! Set the mood of the room: light some candles, dim the lights. Lavender is probably the most popular essential oil in the world. 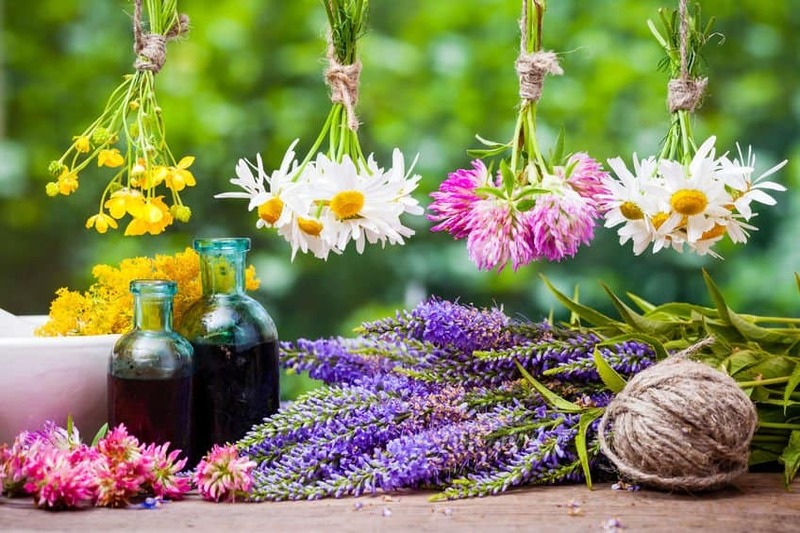 Not only because of the scent and the pretty purple flowers it comes from, but also because of the incredible benefits it has. It’s one of the best essential oils for massages because it relieves stress and physical pain at the same time. It’s frequently included in essential oil massages for sore muscles and joint pains. Combine 1 oz. (30ml) of a carrier oil of choice (use rosehip seed oil or grapeseed oil for sensitive skin, avocado or jojoba oil for dry or mature skin) with 10-12 drops of lavender essential oil and 5-6 drops of mandarin essential oil. Eucalyptus oil can be beneficial both for the skin and the overall health. It also purifies air and boosts immunity. Similarly to lavender, eucalyptus oil is also soothing for the muscles, mind, and respiratory tract infections. Its powerful healing benefits comes from eucalyptol, a compound with antimicrobial properties. Combine 10 drops of eucalyptus essential oil with 5 drops of lavender oil. Add the mix to 1 oz. (30ml) carrier oil of choice; sweet almond or coconut oil are excellent options as they also soothe muscle pain. Add the essential oils to the carrier oil and stir well. Massage gently onto the problematic area. Geranium oil stimulates the overall health of your skin complexion, promoting glowing and radiant skin when applied topically. It helps to remove dead skin cells, balance sebum, and promotes toned skin when used as a massage oil. It increases collagen production, keeps the skin smooth, free of scars, acne, stretch marks, and cuts. PS: geranium is also one of the best essential oils for a sensual massage! Geranium essential oil blends well with lavender and bergamot. 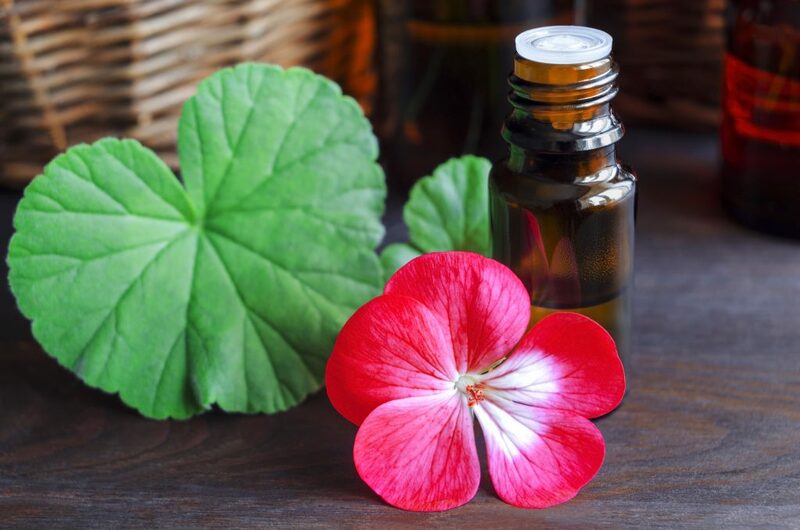 Add 5 drops each of geranium, lavender and bergamot to 30ml (1 oz.) of sweet almond oil. Warm a few drops of the masage blend in your hand and massage gently to soothe her mind and body! Citrusy, tart and bitter, bergamot essential oil is a beautiful uplifting and refreshing oil, extracted from the bergamot citrus fruit. It’s a popular ingredient in the aromatherapy and cosmetic industry, as well as a flavoring addition to Earl Grey tea. Bergamot oil help to tone the skin increases blood circulation, and even prevents infections. To soothe your body and mind and improve mood, mix bergamot oil with mandarin and lavender. You’ll get uplifting and therapeutic effects from the blend. Combine the ingredients in a dark amber glass bottle and use as a massage oil. Mandarin essential oil acts as a tonic; it helps to rejuvenate and brighten skin. Mandarin oil should give you glowing and flawless skin when applied as part of a skincare routine. It is also very beneficial for the scalp, as it promotes strong and healthy hair. Sweet, calming, and toning, this ‘good-night blend’ should be used before you go to bed. It’s meant to relax you and promote quality sleep. Essential oils are very potent and should not be applied to the skin undiluted. They are extremely beneficial and are easily absorbed into the skin when diluted in a carrier oil. So, pick yourself your favorite oil and enjoy a great massage from the comfort of your own home, or take it to your massage therapist and get the results that you always wanted. How can we print this out? You can use the print button on the top RHS below the title of each post. Thanks for the info! I’m pregnant and dealing with cramps in my legs back and stomach! Going to try some of these! Which one would you recommend for a romantic massage. For a romantic massage and intimacy, you can try patchouli, ylang ylang, jasmine – don’t forget to dilute with a carrier oil prior to application.